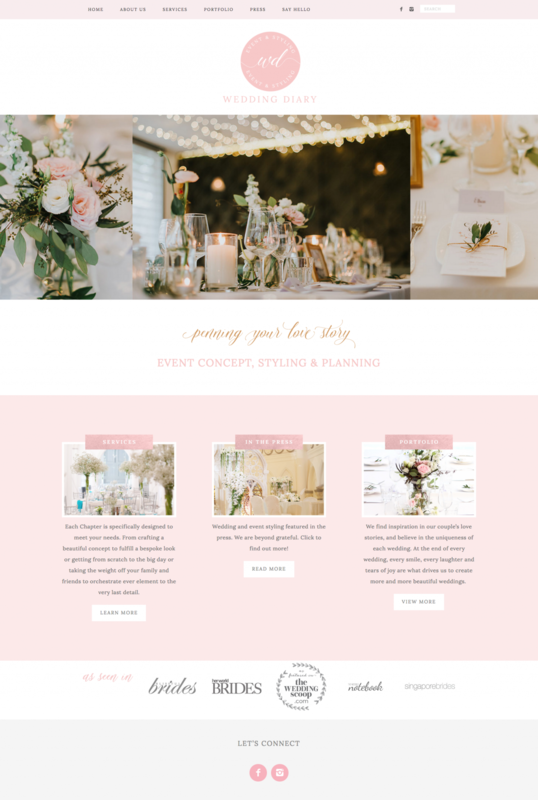 Wedding Diary is an event design company here in Singapore that offers custom decor, event styling and planning management. 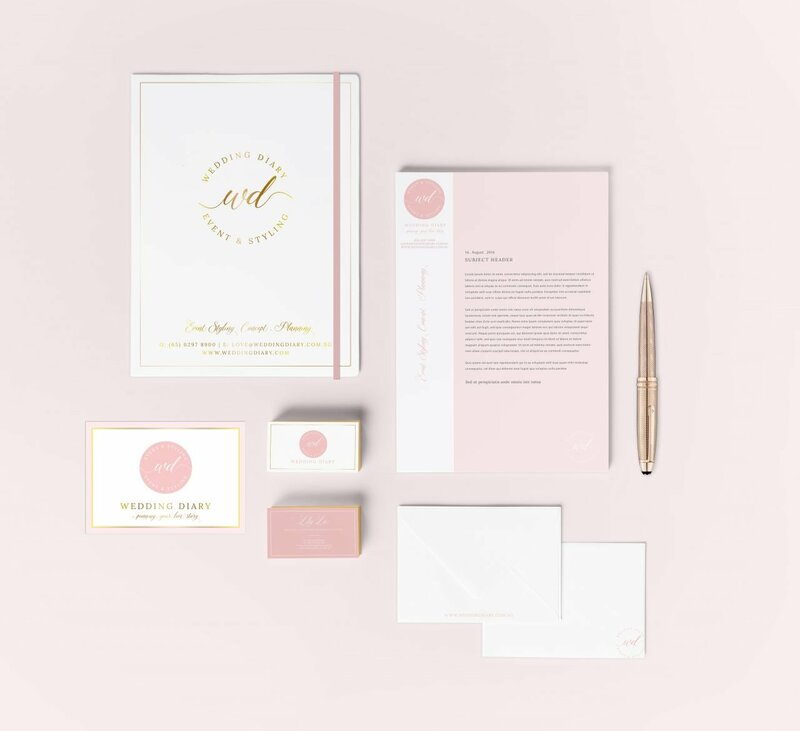 This beautiful business focuses on telling the love story of each of their clients, and is the result of all of the hard work of the owner, Lily Lu, and her creative team. 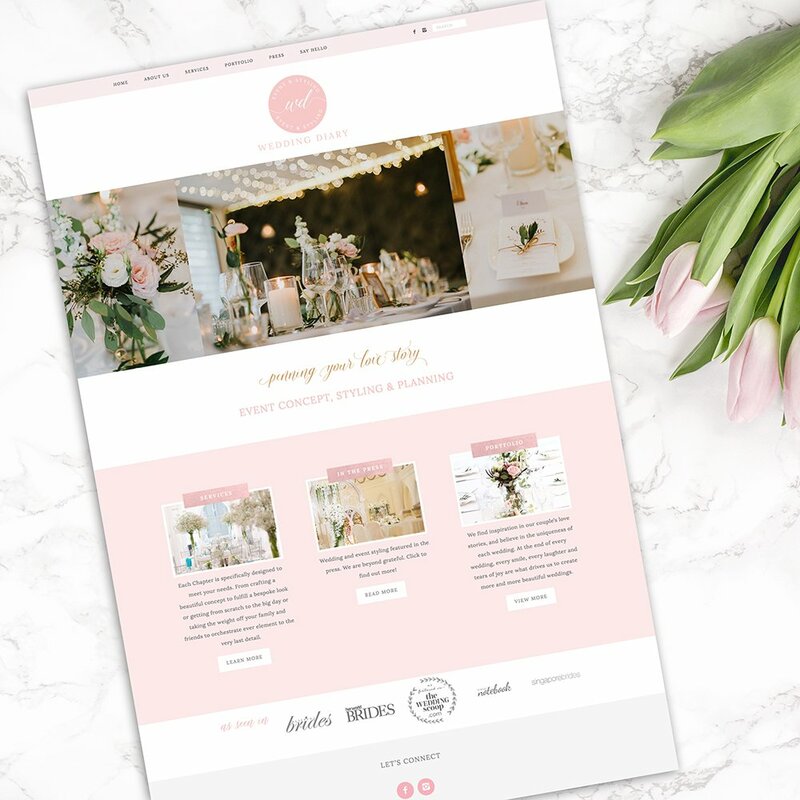 I worked with Lily to design a logo & brand design that captured the timeless quality she was after – just like the weddings and events that she plans. 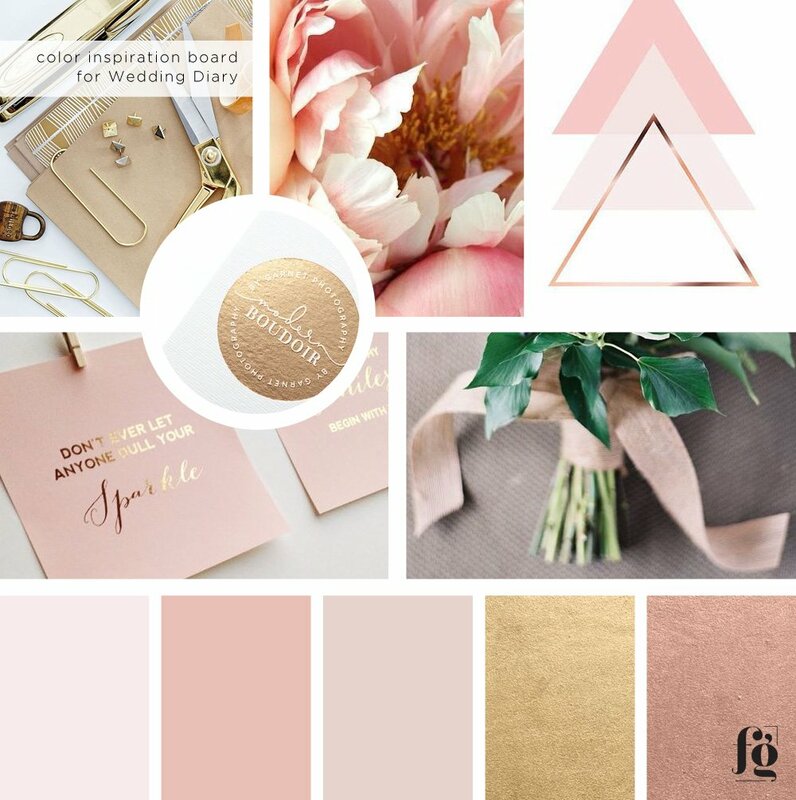 From our discovery call and everything that she submitted, we came up with a mood board and color palette that is elegant, feminine, and classic. It has muted pinks and some metallics thrown in to add some glamor. 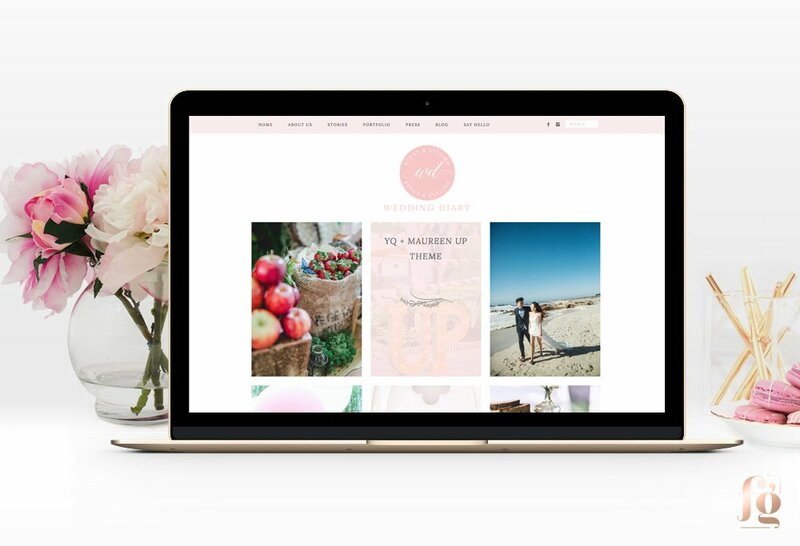 I designed a responsive website with built-in portfolio that is consistent with the overall brand identity design. 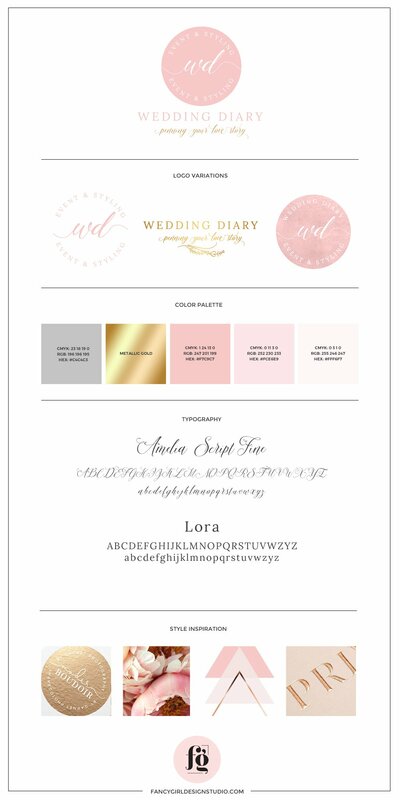 There is a lot of white space, with subtle calligraphic design elements. 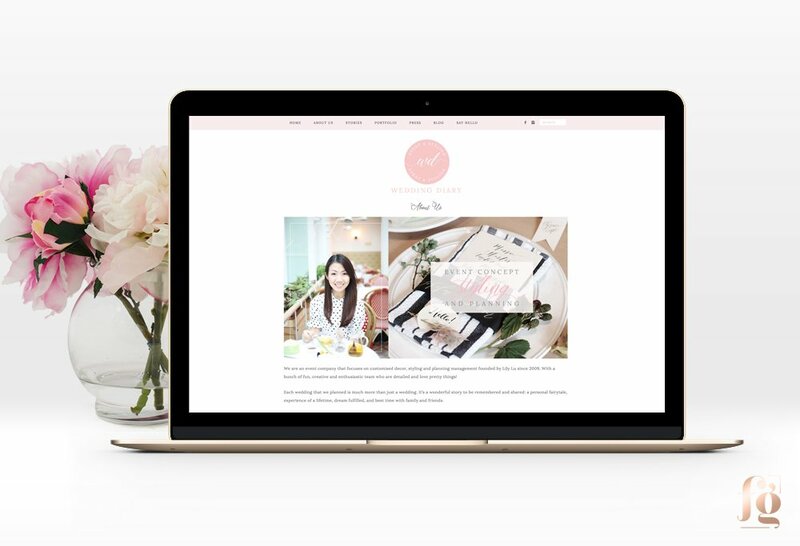 I love the hover effects on the portfolio page!